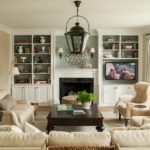 Benjamin Moore Simply White 5 Things to Know! 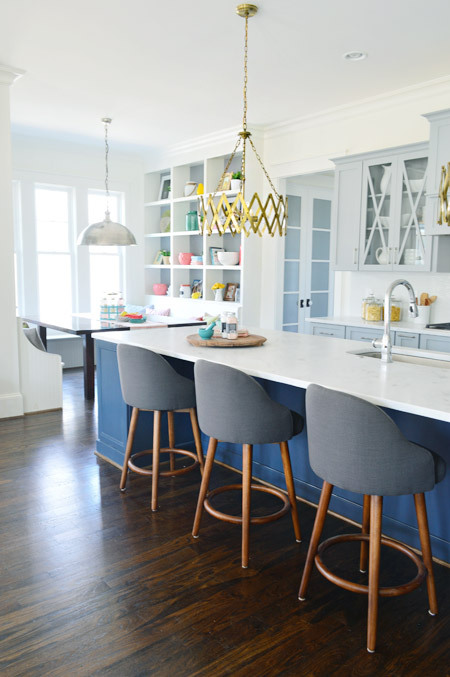 Each year one of the country’s leading manufacturers of paint, Benjamin Moore, chooses one paint color they feel is descriptive of what is trending in color that year. 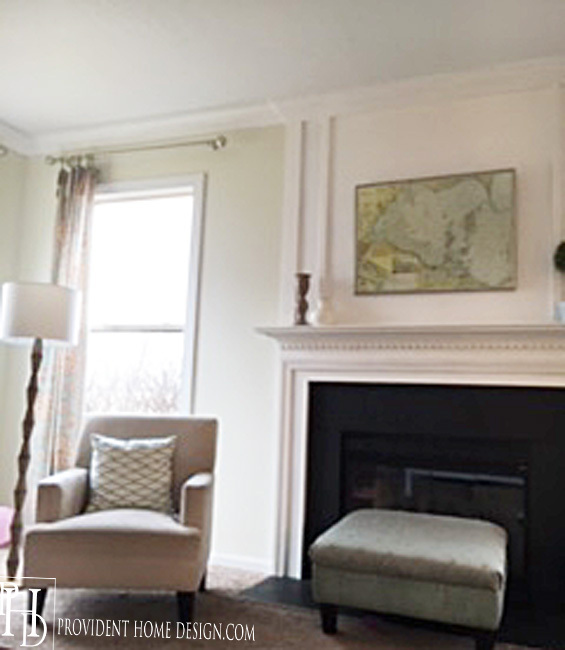 The Benjamin Moore color of the year for 2016 is ‘Simply White’. 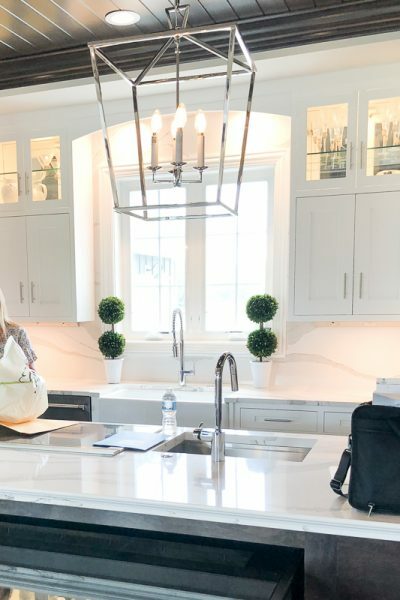 I first caught wind of Benjamin Moore ‘Simply White’ in 2014 when I was stalking following Young House Love’s progress on the showcase home they were doing for their local Home-a-rama. 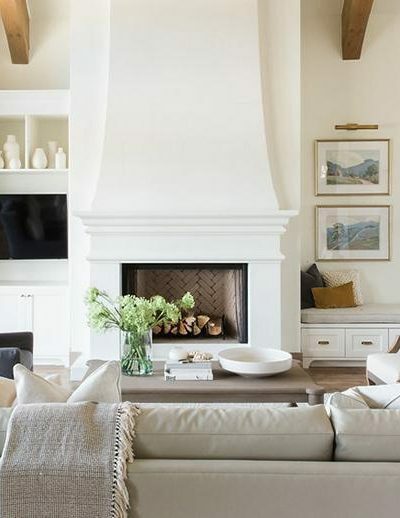 They tastefully used Benjamin Moore ‘Simply White’ on the walls in the family room and kitchen (as well as a few other rooms) at the showcase home. I liked it! It reminded me of the Sherwin Williams ‘Restful White’ I have in my family room but even lighter. Sorry for the poor iPhone photo! I took note and didn’t think about it again for awhile. Then ‘Simply White’ popped back up on my radar in 2015 when I saw my new designer crush, Shea from Studio-Mcgee, using it on the walls in her design spaces! 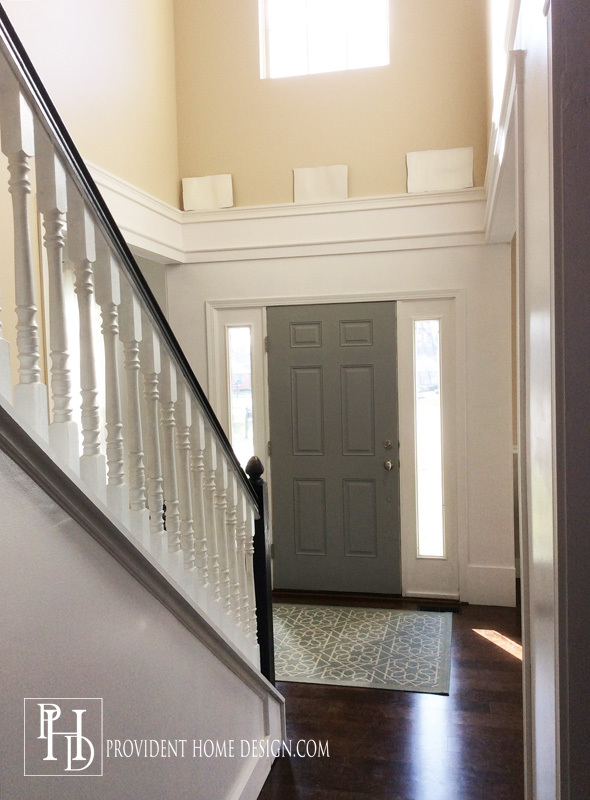 So when it was finally time for me to paint our two story foyer and “new” living room Benjamin Moore ‘Simple White’ was certainly a contender. 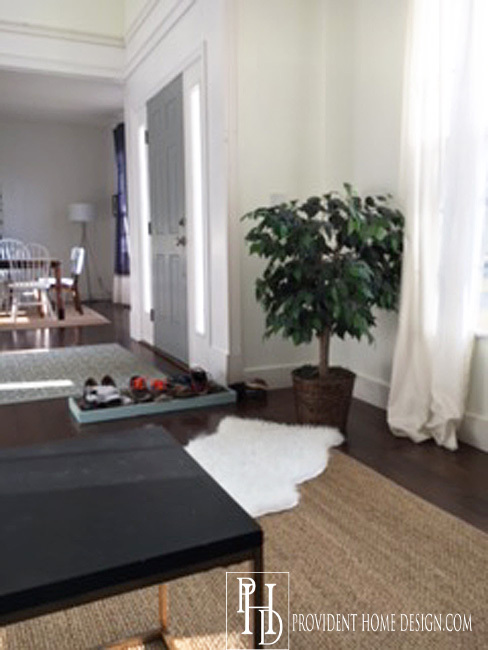 After employing my tried and true technique for picking paint colors I settled confidently on ‘Simply White’ (well as confident as you can be when picking a paint color for a 2-story space…not a space you can easily do over again if you don’t like it)! And I love it!! But is Benjamin Moore ‘Simply White’ for everyone?? Probably not. 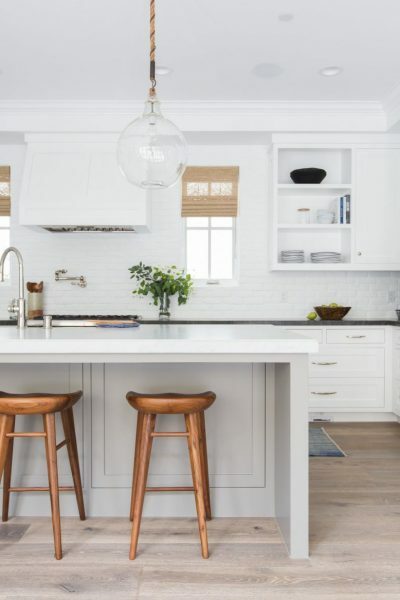 Here are some characteristics to consider before painting your walls (or cabinets, furniture, or trim) ‘Simply White’. 1. Very rarely is a paint purely one color. As with almost all paint colors there will be an undertone (hint of another color coming through). For ‘Simply White’ the undertone is yellow and at times a tiny bit green. Not everyone likes the color yellow. I am drawn to pale yellows so this worked out well for me. 2. ‘Simply White’ is not a true white. Because of it’s pale yellow undertones it is a very warm white. If you are looking for a true, standard pure white do not choose this one. However, if you are look for an off-white that gives off a lot of warmth this is good choice (no harsh, hospital vibes with this white). 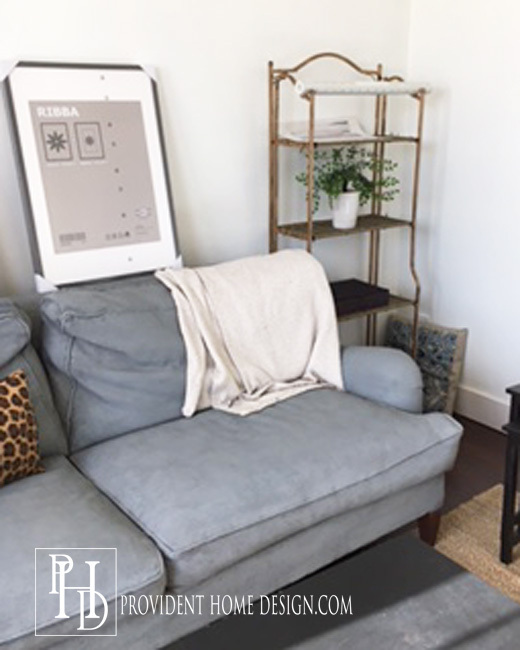 ‘Simply White’ is especially useful in rooms with no windows or perhaps north facing rooms that get little sunlight because the paint color itself resembles light (I swear it glows)! Simply White in my living room. 4. 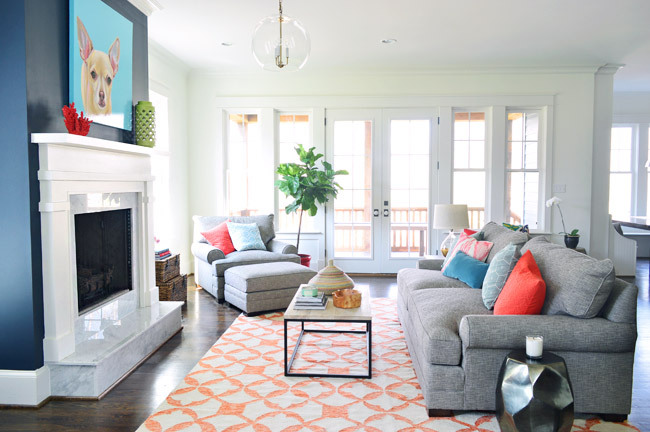 ‘Simply White’ will create a light and airy space. It is important to know if you use Simply White the overall general feel of the room will be light and airy and perhaps a bit whimsical. If you are designing a moody man cave or a dramatic dining room this is not going to be “right” paint color. I think if you were even to add a dramatic black and white abstract painting (like the ones I discussed here) you would still end up with a light and airy feeling room! 5. If you have a collection of artwork or a colorful decorative souvenir you want to showcase in your space then paint the walls ‘Simply White’. 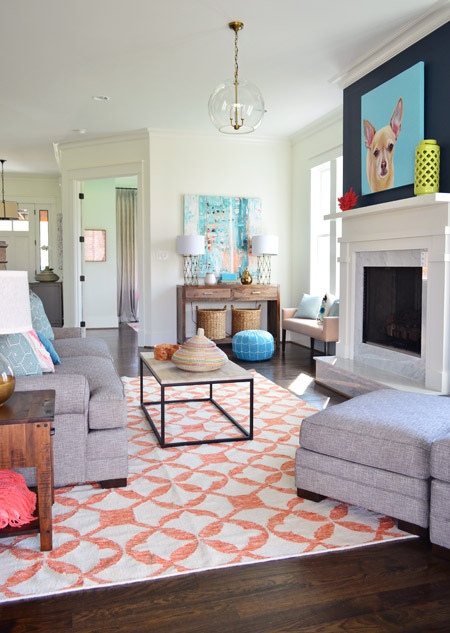 ‘Simply White’ really compliments artwork and the use of other colors in the room. Perhaps it’s the perceived light that ‘Simply White’ gives off that makes it act as a spotlight to the other colors and features in the room. 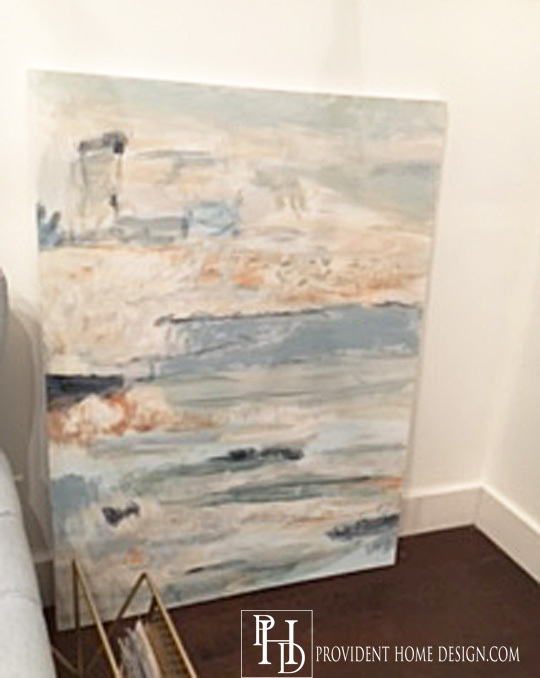 Below is an abstract painting I created for my friend Lolly’s Master Bedroom that we are slowly making over. I took a picture of it in my living room up against the ‘Simply White’ walls before taking it over to her house (Here is my tutorial on painting your own no fail abstract paintings). For those who are new here I recently turned my dining room into my living room and my living room into my dining room. I’m so glad I took the plunge and made the switch…it make a lot more sense this way! I’ve been slowly working on the “new” living room. I took the chair rail down and painted the room Benjamin Moore ‘Simply White’. But the room is still definitely trying to figure out what it wants to be when it grows up. We will see! I hope after reading this post that you feel you have a better handle on Benjamin Moore’s 2016 Color of the Year ‘Simply White’. As well if you would want to use it in your home or not! 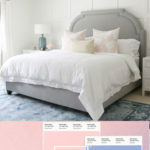 If you are interested here are some more of Benjamin Moore’s color trend predictions for the year. I love it too, Tamara! 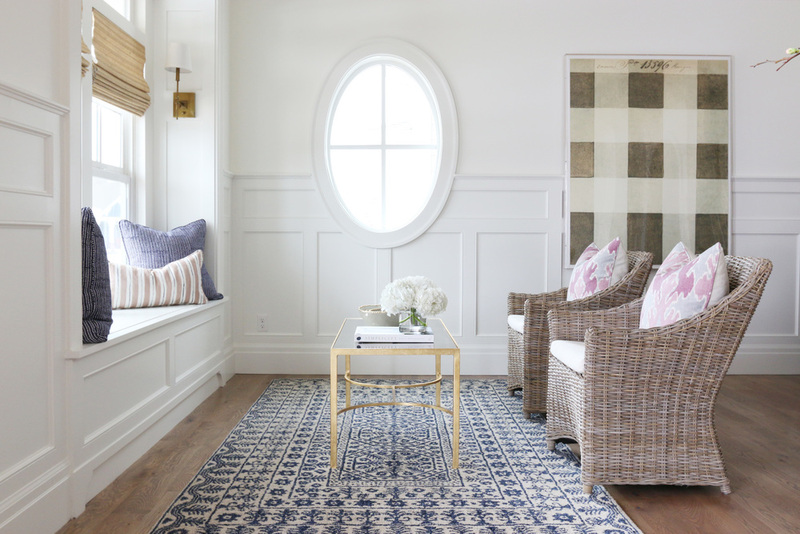 White-painted rooms can take a room anywhere, from timeless and classic to colorful and Bohemian. It’s the perfect canvas on which to paint your room. So happy to hear you love it too, Jana! :-) I appreciate you sharing! the walls and satin trim. The trim look much whiter than the walls- Iim going for monochromatic look in my small dark condo and love the sw walls. Please share any pointers- I’m trying to figure it out before painting the rest of my space. Great question, JC! I’m guessing it is the increased sheen of the satin finish that is making the trim look whiter. It is crazy how much the sheen can affect the color of the paint! If it really bothers you I would ask whoever makes your paint for ideas on how to remedy the discrepancy. I guess you could always go flat on your trim too. I used to be a big fan of Cloud White and while I still like it, all the trim in my home is now Simply White. I am tempted to paint the walls white, too. But I’m not quite there yet. Your rooms look amazing in white! Enjoy your new space! Hi! 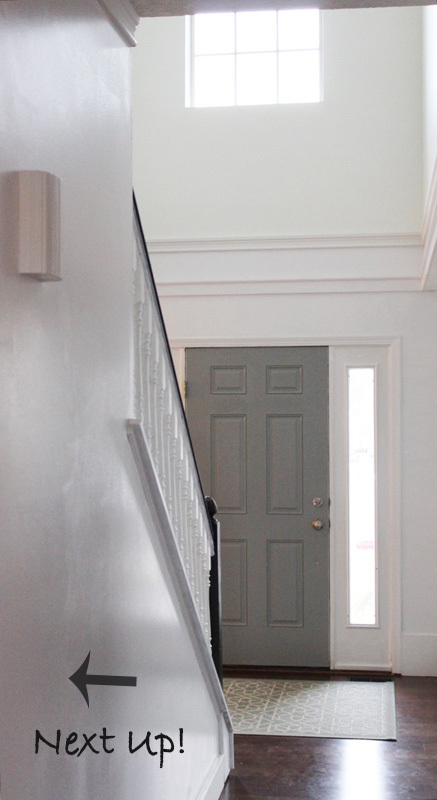 what is the difference between Cloud White and Simply White on your walls/trim? We’re about to repaint our whole house with Simply White and I’m curious. It is really hard to see a difference! 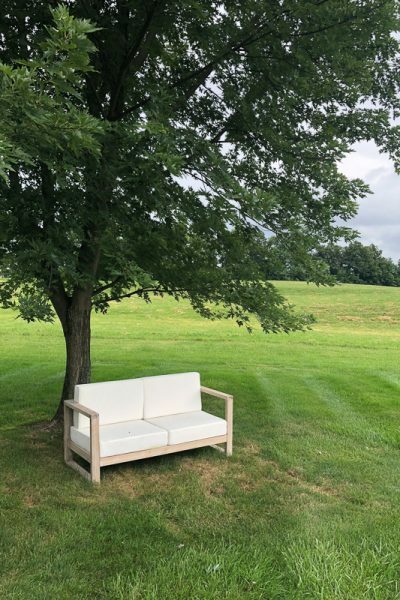 But simply put…Cloud White is a slightly warmer white and Simply White is just a little bit more of a true white. That said, it is really hard to tell the difference. We did Simply White everywhere in the cottage and it feels like a true white – crisp, clean, but not stark and cold. Hope that helps & good luck with the painting! Very helpful post Tamara! 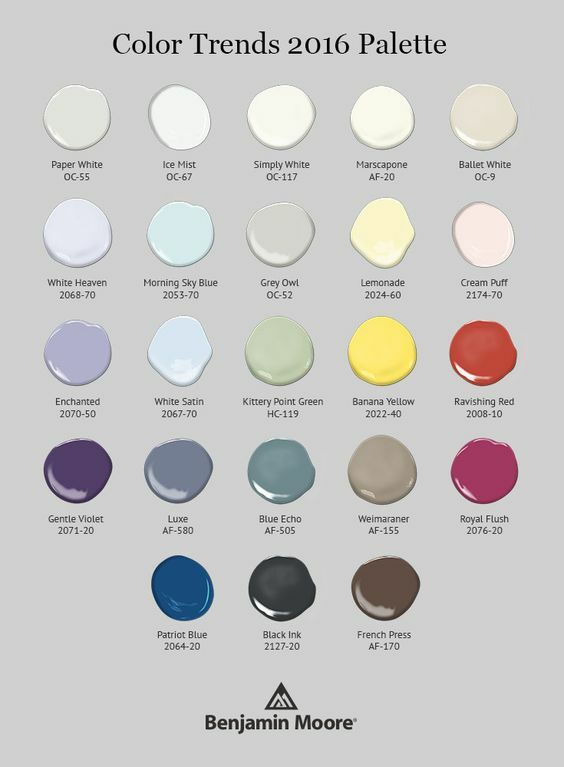 I feel like I make design decisions easily, but paint selection makes me nervous. I don’t know if it is the miriad of colors out there or that I worry they will look different in my space, but I get scared to take the leap too! Would you tell me what color your front door is? 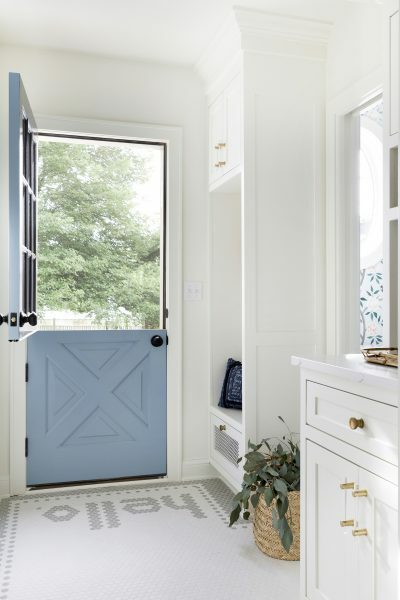 I have a similar door and moldings but they are all white and I’d like the door to be gray. Yours is lovely. I just painted my living room Simply White and it is gorgeous! 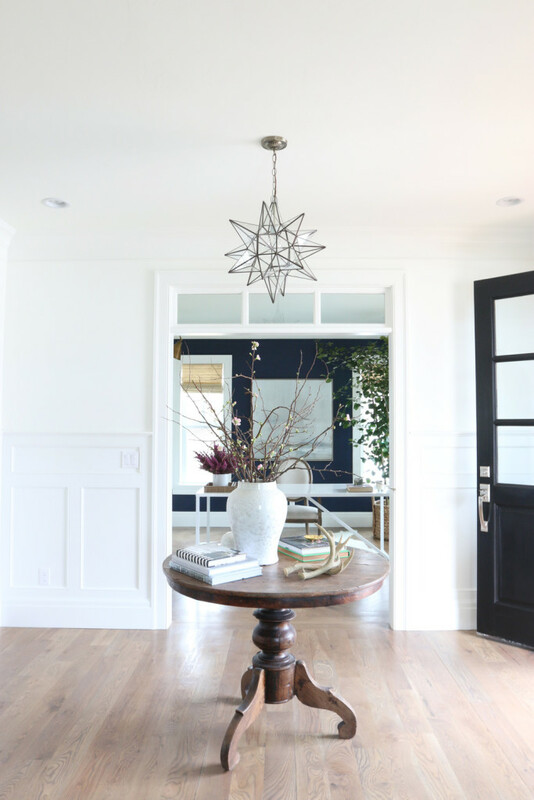 The foyer and hallway are Paladium blue and the contrast is very calming. Your house looks great! Thanks, Shelia! :-) I agree it is a calming color. I bet it looks great paired with paladium blue!! Oh my gosh! All of my house was painted a darkish greenish beige. After watching Fixer Upper on HGTV, I decided I wanted the brighter Farm House look, off to the paint store I went. I tried lots of swatches, got more and more confused, finally I decided on Simply White only because it was the color of the year. I hired a painter (I use that term lightly, no way he should call himself a painter) he did a horrible job! The color was way too bright! Like you said it glowed, it had lots of green undertones coming thru. I returned that same day to the paint store, got me some BM Marscapone, repainted myself. I think it is still to bright and still green undertones. I’m waiting it out to see if it grows on me. I almost like it, then it snows and the reflection coming thr the North facing Windows is blinding! Time to hire a decorator to fix my mess! Help! Hi Cathy, I’m glad to hear I’m not the only one who thinks it glows (which I love but I figured not everyone would like it). 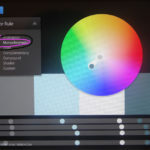 If you end up deciding to repaint here is my number one paint tip for choosing paint colors that will ensure that you get the right color the first time, http://providenthomedesign.com/2014/03/27/tips-choosing-right-paint-color-room/. I hope this helps!! Thanks for stopping by, Cathy!! I painted my living room, kitchen, hallway and dining area Benjamin Moore ‘ s Simply White. I love it! 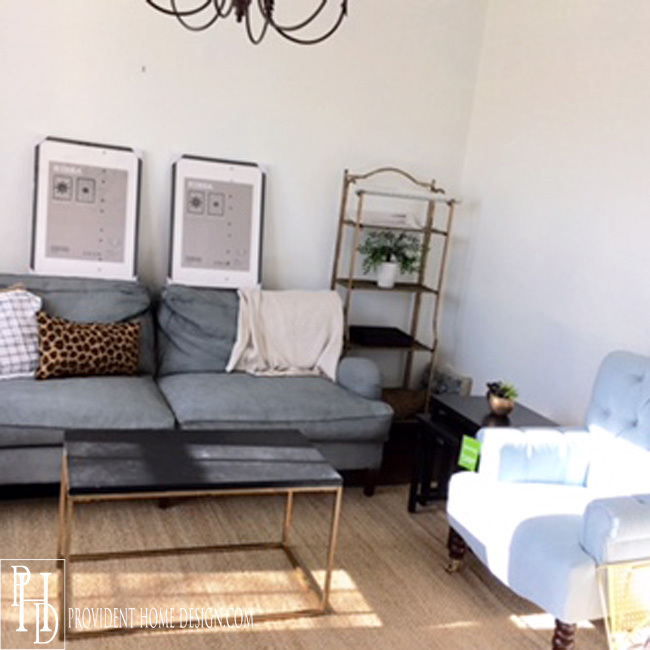 My spaces are bright, airy looking and oh so current. I generally like taupe, grays and blues. Simply White has quickly become my new go to color. Thanks for sharing your experience with it, Marlene!! 🙂 I really like it too! Hi Trudy! I love Behr’s Ultra Pure White for trim and it looks great with Simply white on the walls. I normally dislike yellow walls. And our old, light-yellow walls looked dingy and tawdry inside, especially in artificial lighting. But even so, Simply White is my favorite. I mention this for people who might be driven away by the mention of yellow undertone. It doesn’t make the space cave-like or dingy like yellow can at night. You won’t feel like you’re siting inside a whale’s belly with a lantern. I think the creaminess is soft and radiant, like whole milk, and would look great with textures. It looks very good against a grey blue that I have. Thank you for your input, Laura!! Hi, love the article. My husband and I are debating painting our exterior “simply white” any thoughts? So far we tried “white dove” – very creamy, so we did a 50/50 with it, very close to simply white. HI Sarah! I love a white painted exterior! I’m excited for you! I think you would be happy with Simply White for your exterior being that you want it to be a warm white. I think it will still very much look white. Hope this helps!! SAME here! I’m thinking of doing simply white for brick exterior. What did you decide?? Pics? Thanks in advance! We are having our oak kitchen cabinets painted and I’ve chosen Simply White. Our trim is Behr Ultra Pure White and our walks are Behr White Metal which is a very light gray. 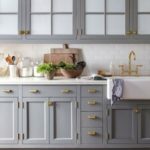 I want a warm white on the cabinets – not stark like the trim, which I love. You mentioned the yellow undertone and I’m wondering if the Simply White will look dingy or dirty next to the light gray and Ultra Pure White. In my house I put this on walks of a room that has a stark white ceiling and trim. The simply white doesn’t come out dingy at all (or even yellow to the eye). Instead, is describe it as more lumescent, next to the starker whites. As in, it gives off more light, and has a richer white quality. Sort of like the way flowers brightly reflect the last light at dusk. I really hate dingy looks, and wanted to avoid any yellowy or fleshy tones, and I’m happy with the effect of simply white. I live in the Pacific Northwest and have it on north and east and south facing walls. I have it in Ultra matte. Hope this helps. Hi, Pam, thanks for reaching out! 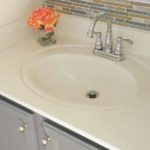 It sounds like your bathroom will be beautiful no matter what the paint color :-)…I love your selections! Simply White would be a very pretty and light and airy color for the bathroom. If that’s the feel you want then I think it will be a great color!! Hi. I need a pure white for walls going with my ‘rustic glam’ look wood and patina. All other colors are greige. How can I make this white look right? I need a white that will both energize me and calm me but look right with Griege. My 600 sq. foot condo is North Facing…and when I painted Simply white is looks like lime koolaid. Getting too expensive. Please help. Do you recommend painting simply white on the ceiling walls and trim? I am stuck. I painted our downstairs with all simply white and wanted the baseboards the same color, but not sure if it would look good or not. What are your thoughts? 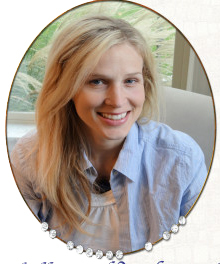 Hello Tamara, I stumbled across your blog this morning as I am using Simply White in my home. If you have any input, my kitchen cabinets are Polar White and I think as a result I need to paint the crown molding and trim the same color. I planned to use Simply White on the shiplap that is on one wall in the kitchen. Do you have any thoughts on if the two will pair well together? 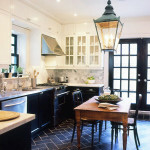 I was not intending to paint all the walls in the kitchen Simply White but wanted to find a light gray color. Do you have any recommendations? Our counter tops are Silestone Eternal Serena (a light gray) and our kitchen island is Silas Hickory (not sure if that helps). Just looking for any input you may be willing to provide. Thanks so much. Hi Beth some light gray recommendations to get samples of are Valspar polar star, valspar touch of gray, and Benjamin Moore classic gray. Simply white could look good on the shiplap but I really suggest getting a sample of it and painting it on posterboard or cardstock and hanging it on the wall you are thinking of having it. Then you will really know if it will look good. Your kitchen sounds beautiful!! Hope this helps!! Tamara, thank you very much for your input! So far I think I’m sold on Simply White for the walls. I picked up a few different options and that seems to be my favorite. Making a final decision is so hard but painter arrives on Wednesday so I must decide!! Hey Tamara, my trim and kitchen are cloud white, would I be able to paint my walls simply white or would the whites clash? My walls are a dark brown now and really want a lighter look! Thanks so much! Hi Amanda! Simply white and Cloud white are very similar…they both have yellow undertones. I think it would be fine! It will just be a continuation of your cabinets and shouldn’t clash. Hope this helps! 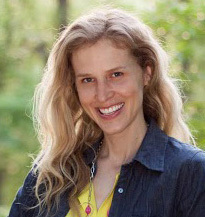 Love your blog Tamara! I have just started a reno on a raised bungalow. We have opened up walls between livingroom and eat in kitchen, house is 1300 sq ft 3 bedroom built in 1969. I am putting in a kitchen with shaker style style kitchen 15 by 10 ft with an 8 x 4 ft island. I stumbled upon your great article and it really convinced me to use BM Simply White when repainting my home. Can you tell me what you would use for the trim please? I’m planning to use Simply White in my hall/ vestibule area which opens into my living room/ dining room. I have huge windows there with a lot of light and would like to paint the walls a warm light grey. What BM paint would you recommend that would tie in with the Simply White? Thanks so much for your inspiration. Quick question- what are your thoughts on using Gray Owl or Moonshine? Hi Shari! I haven’t used Gray Owl or Moonshine but from pictures online I like Moonshine better than Gray Owl. Thank you for all of your information on Simply White. 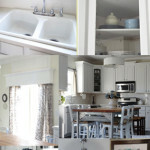 I am painting my Shaker cabinets Simply White and the countertops will be Cambria Queen Anne, which is gray and white. The white in the quartz is whiter than Simply White but I think they go. Now I’m trying to figure out what white subway tiles might work. The kitchen has both north and west windows. I’d like to use white subway tiles vs light gray ones, but I’m concerned that they are so white that they might not quite go with the Simply White. What are your thoughts? Hi Deb, thanks for reaching out! I would suggest painting a piece of white posterboard and painting it Simply White and then picking up a few different white subway tiles and bringing them home to see. It could look just fine but it’s hard to know for sure unless you try it out! Best wishes! Hello! I just painted my whole house in simply white and the house doesn’t have a ton of light and it turned out a light gray. I hadn’t read online that that was possible, have you heard of this happening?